The process was intended to be simple. The steps meant to be clear. You suffer a work-related accident and injury. You notify your boss of that injury. Your employer then communicates the accident or injury information to its insurance carrier. And, the insurance carrier arranges for you to see a doctor. Simple? While it should be simple, it often is not. Many injured workers face hurdles getting necessary medical care. In some cases, it is the employer creating hurdles. In others, it is the insurance carrier. I recently prepared for the deposition of a plant nurse in a case where the employer created several hurdles to medical care. 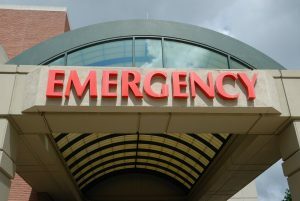 Why would an employer delay or refuse to start the medical treatment process for its injured employee? An employer may have several reasons to delay care or ignore injury problems. Some employers have insurance policies with high deductibles. A few large employers in Alabama qualify as self-insured. In both situations, an employer may be looking at its out-of-pocket costs. Other employers simply don’t want to file a claim and risk a premium increase. Regardless of the reason, employer delays in medical care harm you the most. Referring an employee for medical attention in a timely manner is critical in order to prevent musculoskeletal disorders or further injury. Having employees visit a first-aid room for ‘in-house treatment’ over a course of weeks or months without a referral to a physician can lead to additional long-lasting injuries for employees. It is the employer’s responsibility to ensure workers are protected from workplace injuries. Not Preparing A Timely Written Notice Of Your Accident. You are hurt. You tell your boss. In Alabama, your employer is supposed to complete a First Report of Injury. Yet, some employers don’t complete any written report. Later, when you are still hurting and need to see a doctor, the lack of written report can be a big problem. Suddenly your boss cannot remember any conversation with you about a work-related accident. Or, maybe the boss remembers a different (and false) conversation – one where you told him you were hurting from an accident at home. The lack of a written report leaves many possibilities – almost all of these are negative to you. Don’t let your employer delay the written report. Insist upon one. Not Documenting A Health Problem As Work-Related. I’ve seen this many times over the past two decades. Here is one example — You work on an assembly line. The repetitive job causes a shoulder injury. You begin reporting the shoulder problems to your supervisor and plant nurse. What you don’t realize is that the plant nurse is recording your complaints as long-standing arthritis. Here is another example — You hurt your back lifting a box at work. You go to first aid and ask for an aspirin. The company nurse reports your visit and back pain. But, she does not mention anything about the box or accident. Later, it will be unclear where you hurt your back (home or work) and she will not remember anything. Not Communicating Clearly With The Insurance Company. When you report a work-related injury, your employer should notify its insurance carrier. That insurance carrier should authorize a physician to treat you. Often, unreasonable delays occur during this process. Did your employer really notify the insurance carrier? Did your employer provide the insurance company with the information necessary for the claim? Many times, I’ve seen employers delay care and tell the worker it’s the insurance company’s fault. Here’s the deal — You don’t know which one is to blame. Regardless of who is at fault, you should not suffer for it. Not Providing A Doctor After Repeated Visits To A First Aid Department. This is a frequent delay tactic in large factories. You suffer an accident. Afterwards, you try to continue working. But, you report to first aid frequently with problems, for medications, needing time off to heal, etc.. Your company needs to provide you a doctor. Yet, it does not. You need to demand one. I’ve seen many delay tactics over the years. You can suffer greatly from these delays. Sometimes, these delays make it difficult for you to prove your case later in court. Sometimes, these delays cause you to lose your job when the pain and problems reach a certain point. Sometimes, these delays cause an easily treatable injury to become chronic and disabling. If you are hurt at work, you need proper medical care. You need care as soon as possible. You do not need unreasonable delays. If you need advice on these issues, call us. The attorneys at the Blackwell Law Firm are happy to help.